Since my eldest daughter, Ria is growing up day by day, I have become more choosy about her reading habits. 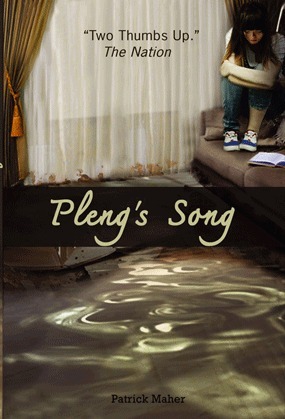 Recently I bought a Young Adult novel titled 'Pleng's Song' written by Patrick Maher for her. As Ria is busy in her class assignments and projects this whole month and the months ahead, I gave it a thought to read this book myself and finished it up this last Sunday. I am satisfied to have purchased a good and interesting book for her to read. I have all the support and sympathy for this 11-year old teenage girl, Pleng for having quite unusual childhood unlike any other girl of her age. I can understand this whole manipulation and a careful plot woven into an adventurous outlook that took birth in Patrick Maher's mind. It is due to his life-time traumatic experiences with the natural disaster - the Thailand floods in 2011. His experiences were so intense and influential that they gave way through this book. Being a stubborn and mischievous little child like Pleng can be quite common and understandable in our life. But, none could have heard or seen such a matured and bold step taken by none other than Pleng herself. She has very bravely faced the harsh and difficult circumstances that had engulfed her at the tender age of 11. I like the metaphoric theme and plot woven in this book. The natural calamity was indeed a symbolic gesture of Pleng's state of mind. Though this book is very engaging and interesting to read, some events seemed unrealistic to me. For instance, Pleng's hunting and killing of snakes and then cooking and devouring at them was quite unnatural to me. If it were an adult man or woman instead of this little girl, then it could sound real and sensible. Otherwise, the book is interestingly been told and entirely in simple and clear language that teenagers and young adults will find it fascinating as well as captivating. 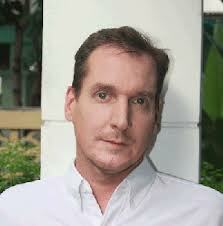 Patrick Maher (born in Grand Rapids, Michigan in 1965) is an American writer. Maher's first novel, Candid Confessions, reached No. 1 on Amazon Japan's best seller list and was the third best selling foreign literary novel with Amazon.com Japan in 2001. Maher was trapped in the 2011 Thailand Floods and spoke about his experience with the Christian Science Monitor. Based on his family adventure of surviving the floodwater, the idea of Pleng's Song was born.